Hobbies you have to have. The name is actually in Finnish, but VERY difficult to translate, due to its quibble nature. If I’d try, it should be something like Pussiator (as in, well, kitten). 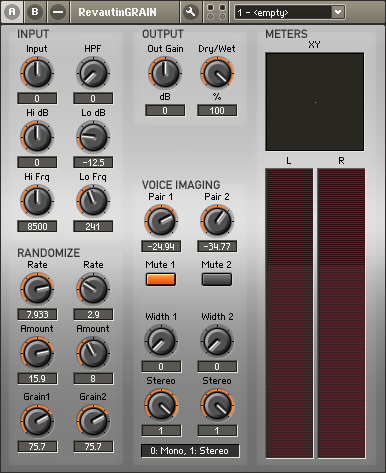 It’s a Reaktor FX vocal doubler, and it uses a randomly modulated diffusion module with very short delay times to gain a “cloud” of vocals. Quite an unnatural sound, I have to admit, but it surely does its job 100%. Silky smooth, eerie, works very well with female vocals and higher male falsetto. Haven’t tried that with ganstas, yet. I assume they’d be amazed at the silky pussiness produced by it. The other one is called Turilaattori, which is midi controlled delay. Nothing fancy here, except that every parameter is controlled by envelopes – which, in turn, are triggered by six different midi keys. 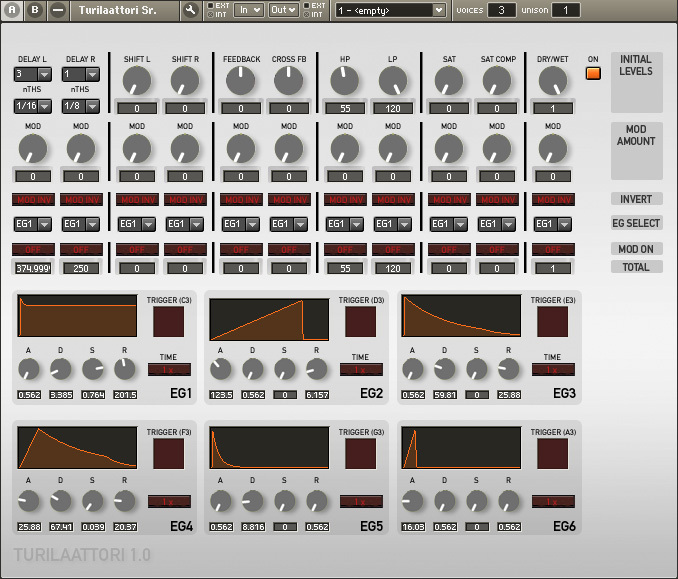 You can control its feedback with infinite sustain, or whatever, depending on the ADSR settings. However, since I’ve got my hands full, they’re both “in the making” and filled with bugs I’m trying to hone out even as I write this. I’ll be adding a tempo sync to the ADSRs as well, maybe. These were purely for personal use and I found out during the making of Trancelations that Revautin was incredibly cool on solo cello and small sections as well. Violas were singing, literally.